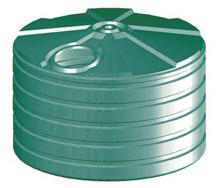 For the home user, the benefits of installing a rainwater tank are many. They provide pure drinking water for your family and provide economic, social and environmental benefits through water savings. Bushmans tanks are made from the highest grade polyethylene, creating a flexible, durable and hygienic one piece unit that will provide years of trouble free service. BUSHMANS has been in the industry over 17 years with their aboveground rainwater tanks coming with a 10 year guarantee and their underground tanks 7 years.